Actor Jared Keeso gives us a playlist for Letterkenny, the fictional town in which his show of the same name takes place. In a new segment we call the q Block Party, we invite guests to pay a musical tribute to the neighbourhoods they hold dear to their hearts. 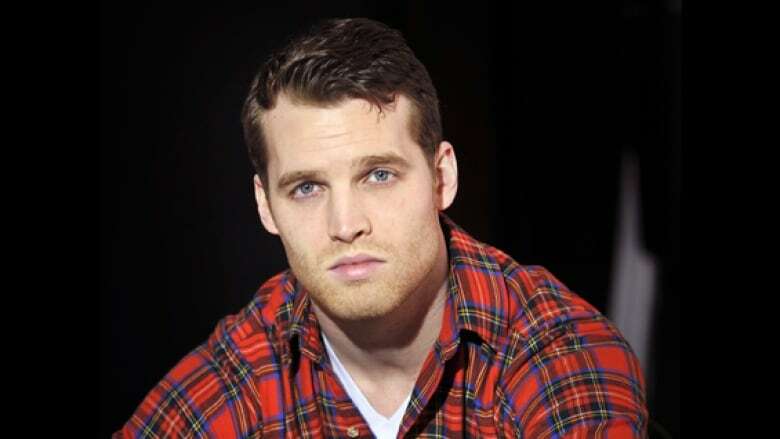 Today, actor Jared Keeso gives us a musical guided tour through Letterkenny. Now, it may not be a real town — Letterkenny is the fictional town in which Keeso's show of the same name takes place — but that doesn't mean it doesn't have a personality of its own. Here, Keeso selects some songs that reflect the variety of people who inhabit this town, from the hicks to the hockey players. Below are Keeso's picks and the reasons behind them. "This song kind of sounds like it's soaked in whiskey, and this song exemplifies the sound of the hicks on our show. It's just dirty, barroom rock." "I think this brand of punk suits the general vibe of our show, and for this brand of punk I look no further than the B-Lines from Vancouver, B.C." "The excessive BPM count just seems perfectly suited for the skids, and the reason for this is that the skids smoke meth. The skids in Letterkenny may be funny with their habit, but meth is no joke." "The hockey players on our show are pretty silly. I don't think this song defines the hockey players, but the title certainly does." Seasons 1 and 2 of Letterkenny can be streamed now on CraveTV.